KIGALI (Reuters) – Landslides caused by heavy rains killed at least 18 people in Rwanda’s Northern and Western province over the weekend, pushing the death toll since January to more than 200, a government official said. The heavy rains on Sunday night killed 15 people in Western and Northern provinces, Philippe Habinshuti, director of response and recovery unit at the Ministry of Disaster Management and Refugee Affairs, said in a statement. “The four months have been far worse than last year and other years. This is terrifying,” Habinshuti told Reuters. 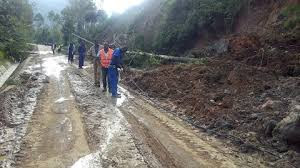 On Monday, people dug through mud to searching for missing people in the western province, where three people were missing and six injured.Three people died earlier on Sunday in Rubavu district, the ministry said. Sunday’s death toll adds to the 183 who have died since January.